Gazing into Google Earth imagery of Pyongyang, Yim Dong-woo was startled by the pace of development unfolding on the screen. “It was incredible,” he told The Korea Herald, explaining that numerous construction projects have been undertaken in the North Korean capital, unbeknownst to the outside world. Yim, an assistant professor at Hongik University’s Graduate School of Architecture and Urban Design, noted that sea changes have taken place in Pyongyang over the last five years under Kim Jong-un. The third-generation autocrat vowed to remake his country through a dual-track national development strategy known as the “Byungjin line,” pursuing nuclear and economic development simultaneously. As the international community piles sanctions on the North for its reckless military provocations, Pyongyang, time and time again, seems to defy expectations of being pressured to abandon its nuclear aspirations. By continuing the construction of towering buildings and new blocks, the regime legitimizes its ability to withstand external threats and consolidates its grip on power, analysts say. 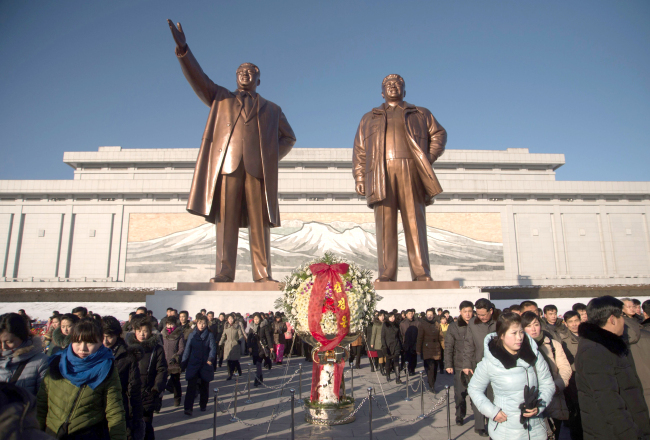 For starters, Pyongyang is unlike any other city in the world. Built on the ashes of the 1950-53 Korean War that reduced the city to rubble, Pyongyang was designed by architect Kim Jung-hee (1921-75) who was commissioned by North Korean founder Kim Il-sung, the grandfather of Kim Jong-un. Having studied at Moscow Architectural Institute from 1947-53, Kim Jung-hee masterminded Pyongyang as a “socialist city” built on modernist urban planning principles, as previously theorized by visionary architect Le Corbusier. Unlike capitalist cities that prioritize economic efficiency, and consequently agglomerate, socialist cities place spatial equality above everything else and attempt to materialize equality in the built space. As an example, they are designed to provide equal distances between home and work through a concept called the “microdistrict” -- a self-sufficient neighborhood that incorporates residences, factories, shops, schools, day care centers, health care facilities, leisure spaces and more. 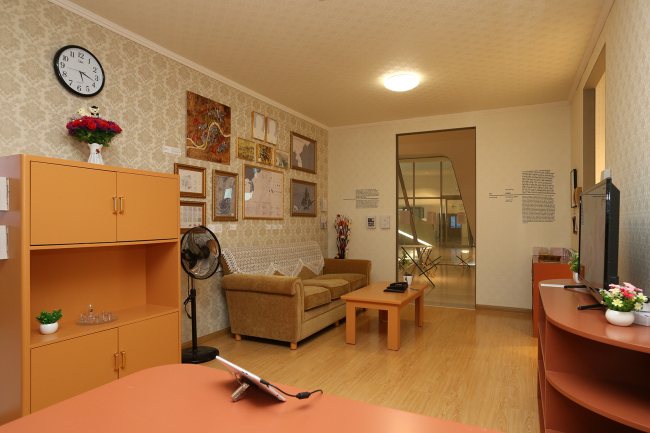 According to Yim, who authored “Unprecedented Pyongyang” and “Pyongyang and After Pyongyang” as well as other papers on its urban planning, design and architecture, the showpiece capital can be analyzed through the prisms of productive space, ideological space and ecological space. 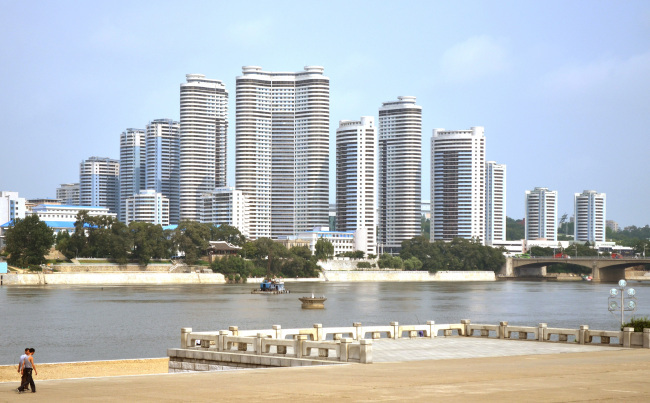 Yim’s research has focused on the potential transformation of Pyongyang and North Korean cities after the prospective fall of the regime. By studying the capitalist renewal of Eastern and Central European cities as well as Chinese cities, one can gauge the metamorphoses that North Korean cities might experience, he said. “The concept of microdistrict is interesting,” Yim continued, noting that although microdistricts do not seem to be built or used any longer in large quantities, they hold the key to unlocking North Korean neighborhoods’ potential for locally centered development. 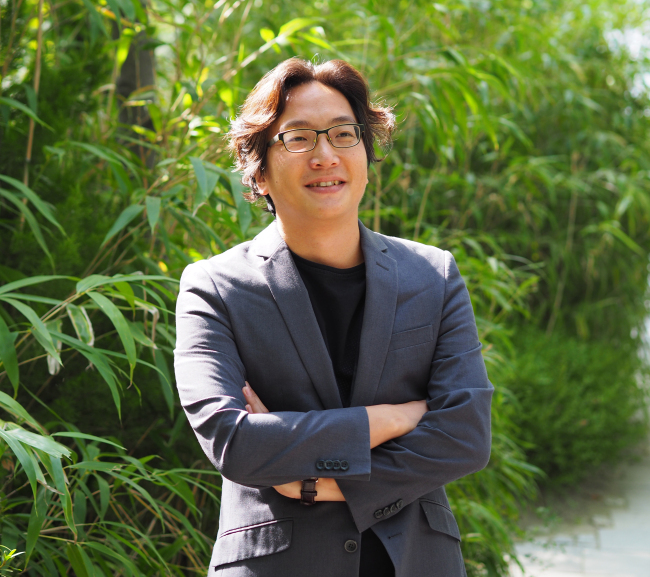 He is the co-founder and principal of architectural design and research firm Praud, and studied at Seoul National University and Harvard University. Yim’s work on Pyongyang has recently been displayed at the Seoul Biennale of Architecture and Urbanism at Dongdaemun Design Plaza. Such a basic form of autarkic production and consumption may act as a seedbed of entrepreneurship once capitalism rushes in systematically, he conjectured, a view empirically substantiated by aggrandizing businesses in European cities transitioning from communism to capitalism. Yim also pointed to models of locally based sustainable production and consumption that have gained global traction, such as the sharing economy and urban farming. “The point of these initiatives is to make our society more wholesome and healthful,” he said. Providing spaces for consumption will be one of the most fundamental issues following a hypothetical unification, Yim asserted. “Looking at the experiences of former communist Europe, we know that providing spaces for commerce is critical. The Eastern and Central Europeans, long starved of shopping, went ecstatic over buying after the Iron Curtain fell,” he said. Although one can’t predict how Pyongyang and other North Korean cities will change after unification, it is possible to illuminate the proper directions they should take to be economically vibrant and sustainable, he added. 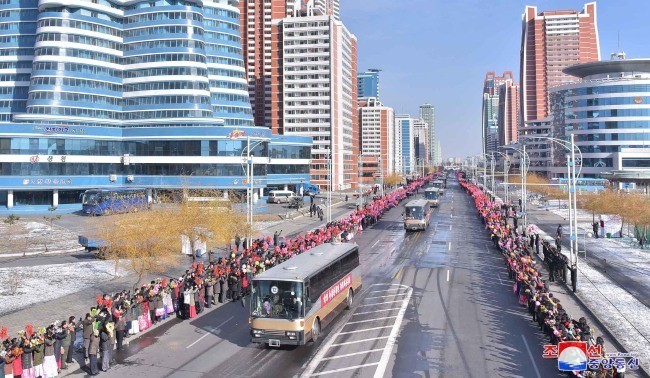 Yim suggested the underground and surrounding areas of Kim Il-sung Square to be developed as an integrated commercial space -- encompassing convention centers, hotels and other shopping and cultural amenities -- similar to Seoul’s Coex, or retail and cultural venues encircling Beijing’s Tiananmen Square. 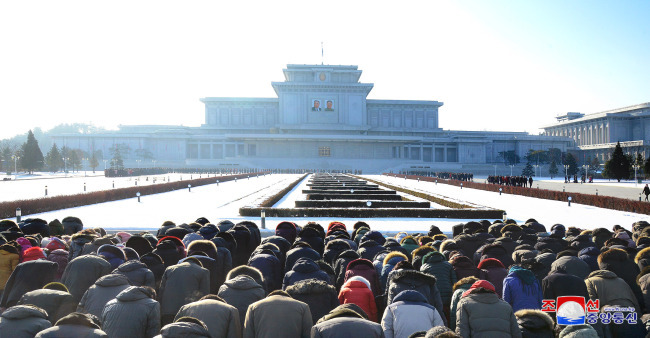 “Those who visit Pyongyang feel an eerie perfection in its cityscape compared to cities in democracies,” he added. Once spawned as a socialist city, Pyongyang, not immune from market forces, has metamorphosed over the years to become something of a jumbled metropolis. The period of 1945-53 after the Japanese colonial rule and internecine war saw buildings constructed in a style that combined traditional and modern forms. The postwar period from 1953-60 was marked by flats in the modernist-socialist style, modeled after the townhouses and multistory row houses of Hungary, East Germany and Czechoslovakia. Brigades of prefabricated apartments were hastily manufactured through the early 1970s, leading to the expression “Pyongyang speed,” as a housing unit was reputedly completed every 14 minutes. 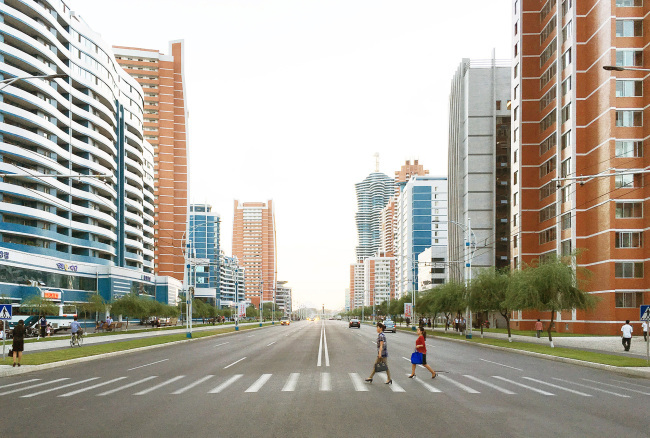 The period after the mid-1970s witnessed the construction of high-rise apartment blocks, accelerating into the 1980s and early 1990s with super high-rise blocks of 20- to 40-story buildings on Munsoo Street, Changgwang Street, Budnamu Street, Ansangtaek Street, Chollima Street, Gwangbok Street and Tongil Street. 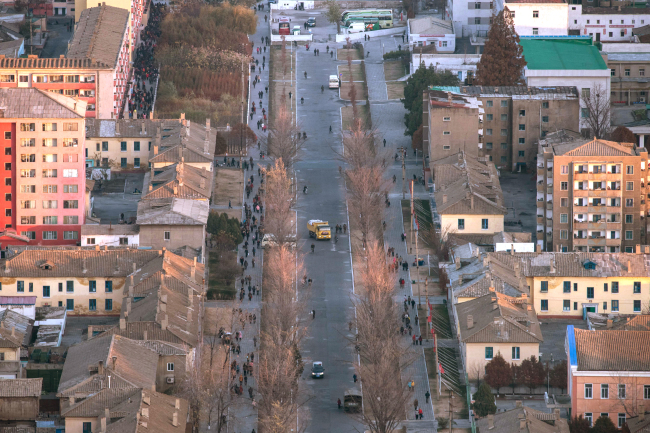 Unlike South Korean cities that are administratively organized into “dongs,” or districts, in North Korean cities streets dominate the landscape. Not much was built in the 1990s due to the country’s economic collapse. But since Kim Jong-un took power in 2011, he has invested much of his energy into pet projects in Pyongyang. Changjon Street and Ryomyong Street have been the centerpieces of his vertical ambition, housing 4,300 luxury residential units in 55- to 70-story buildings. He even instituted a state agency and research center commissioned with overseeing the nighttime lighting of iconic streets, buildings and monuments. The donju collude with power institutions and brokers to build apartments, bribing and giving them half of what’s to be constructed and selling the remainder on the market, notes Dong-a Ilbo journalist Joo Seong-ha, who escaped from North Korea in 1998. 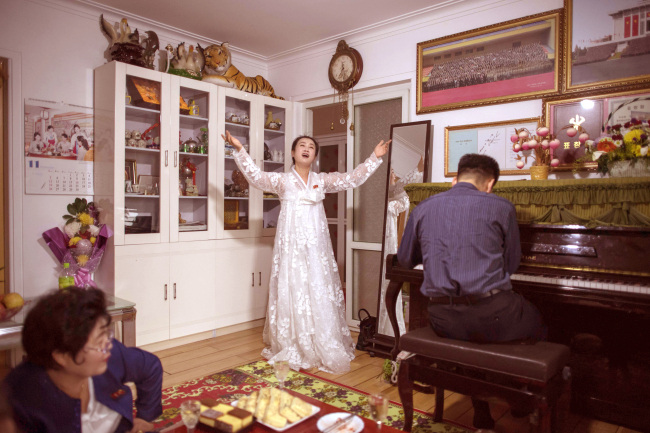 The price of the most sought-after apartment units in Pyongyang can fetch anywhere from $150,000 to $200,000, say defectors, and residents who occupy these luxury homes enjoy a lavish lifestyle. There are reportedly even sales of units before construction begins, a system likely copied from South Korea’s real estate industry. Speculative investment also exists, leading in some cases to real estate bubbles. Rich children of the People’s Republic, making up the “1 percent,” live in what has been dubbed “Pyonghattan” to describe the parallel universe of top-down privilege and wealth, according to a Washington Post article last year. It claimed the wealthy there wear Zara and H&M clothes, drink cappuccinos, eat top-grade steak, go under the knife for cosmetic makeovers and run on treadmills at health clubs. It has become vogue among economic elites to refashion their home interiors in the style of posh residences in the South. Taking inspiration from South Korean interior magazines and TV dramas, some donju and high-ranking bureaucrats splurge up to $6,000 on furnishings, such as ritzy large-scale mirrors, bidet-added toilets and security camera-equipped automatic doors, reported Daily NK. Soldiers from units originally tasked with construction toil night and day to do the work. But underneath the glitz, homes are dilapidated, in short supply and poorly supplied with water, heating, sewage and electricity. Particularly in winter, those living in high-rise apartments, where central heating is a luxury, are known to move to relatives’ residences heated by coal or solar panels, or elsewhere through a broker. Because the elevators in many apartments don’t operate due to power shortages, the lower floors are more expensive, reporter Joo pointed out. “In contrast to South Korea where the upper floors are a symbol of status and wealth, in Pyongyang people try hard to ‘climb down’ to the lower floors, often paying lucrative sums,” he said. The reckless speed at which construction and demolition are carried out frequently leads to on-site deaths and shoddy structures, periodically resulting in the collapse of buildings. A building collapsed on Ryomyong Street in April last year, reportedly killing some 60 workers, and in May 2014, a 23-story apartment crumbled and killed an estimated 300 residents. Come unification and capitalism, how would Pyongyang change? Or how should it change to keep pace with the times? 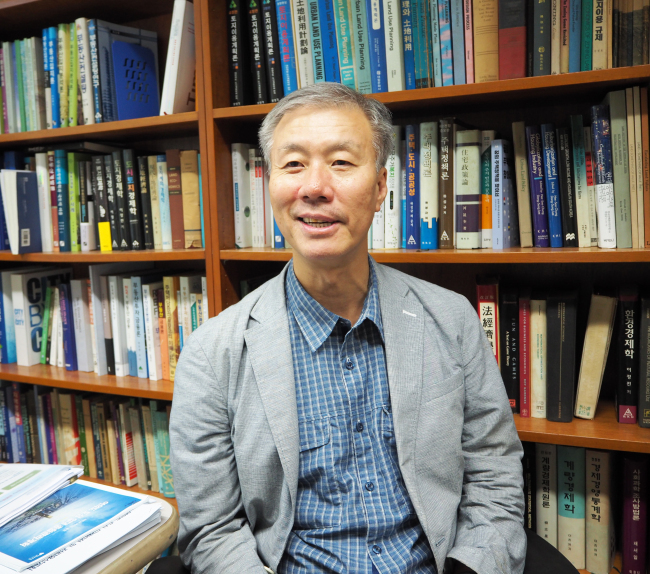 Once the restriction on freedom of movement and right to live in Pyongyang is lifted, people will flock toward the city in search of work and opportunities, according to Seoul National University professor Choi Mack-joong, who teaches urban planning at the Graduate School of Environmental Studies. Choi advised creating satellite cities around Pyongyang, or new towns inside the city, to accommodate newcomers. As most of the housing stock would be outdated and structurally unstable, large-scale reconstruction is inevitable, he added. One likely contentious issue from the process is vast economic inequality between the haves and have-nots, as amply evidenced in former communist Europe. But it is important to incentivize the elites toward unification by promising their continuing prosperity, the professor contended. Choi stressed that policies should protect Pyongyang’s urban characteristics and cultural and historical heritage. Similar to Eastern European cities, some of Pyongyang’s ideological space -- as sites of identity and character -- could be preserved rather than demolished, he advised. One illustrative case of a former communist structure being used into capitalism is the Palace of the Parliament in Bucharest, Romania. Built by Romania’s last communist leader Nicolae Ceausescu, a close ally to Kim Il-sung who bulldozed Bucharest in the image of Pyongyang, the palace is the world’s largest administrative building, housing the Romanian parliament, three museums and an international conference center.